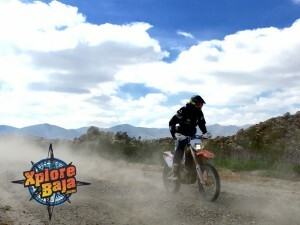 Welcome to XploreBaja! Exploring the pristine white beaches of both sides of the Baja Peninsula has been a 40 year adventure for XploreBaja. Combining the unique ability to mix business with pleasure, our staff of seasoned Baja adventurers come from all walks of life. We are a family business catering to both corporate and adventuring families from around the world. Having that unique opportunity has spurned our family to share the love of the Baja Peninsula with those that may be a bit reserved or timid to charge into the last wild frontier. We have networks of liaison’s reaching throughout the entire Baja Peninsula interacting with locals in every walk of life. For more than 20 years we’ve been leading groups through the Baja Peninsula. If you are interested in exploring the Baja Peninsula, you won’t be disappointed as we have adventures for every kind of explorer. Rick has been exploring the Baja Peninsula for more than 35 years. He is an accomplished professional motorcycle racer starting his career in his 20’s as one of the first factory Honda riders. 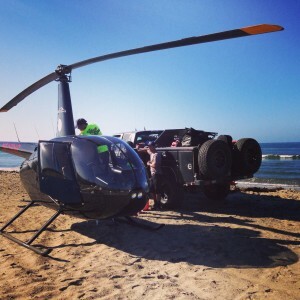 He is meticulous and has an extensive background of Baja experience. As a successful business owner, he is well aware of the safety concerns for all clients. Rick is the manager of the XploreBaja Moto Guides leading our moto groups through Baja’s most desolate and majestic single-track trails. 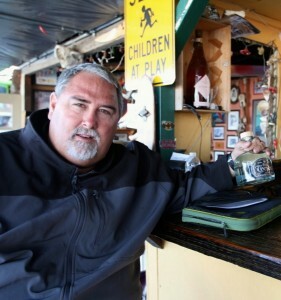 Rick owns a residence in Baja and has raised his amazing family adventuring all over the Baja Peninsula. Brendan is a world-class adventurer and professional dirt bike rider. He raced in SCORE Class 1 for several years and has been traveling throughout the world adventuring for more than 20 years. 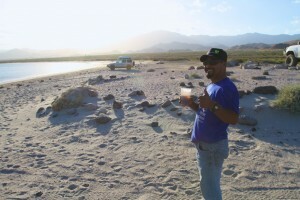 10 years ago he discovered Baja and he’s never looked back. He is an intregal part of XploreBaja and joins us on the most difficult trips.As a world-class explorer he has tons of real-world experience and provides great problem solving in trying situations. 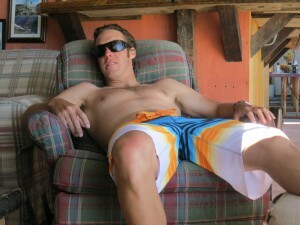 Brendan is a professional athlete riding road bikes and mountain bikes at the highest level. He is a professional dirt bike motorcycle rider and has chased XploreBaja clients on his KTM 500 all over the Baja Peninsula. He’s an avid Baja surfer and SUP’er and spends nearly 3 months a year adventuring in Baja. She first ventured into the land of Baja’s wild backcountry with her dad, Tim Sanchez, in 1988 at the age of 3 years old. She bounced along in the right seat of the old Chevy 4WD pickup as Tim charged down the beaches and through the sand washes, just the two of them wandering through the Baja backcountry. Brittany literally grew up in Baja. 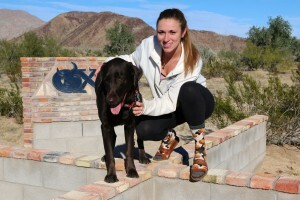 She’s been part of the XploreBaja program since she was a little tyke just along for the ride. Now she does it all as she keeps everyone laughing and in check. 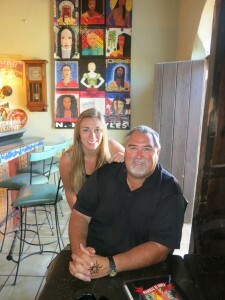 Christine is one of Tim’s three daughters who have all grown up exploring many walks of the Baja lifestyle. Surfing, riding MTB and cruising an ATV’s on the beach are a few of the many things that Christine loves to do in Baja. Having traveled the peninsula on countless occasions and logging thousands of Baja backcountry miles she knows Baja in many ways. She handles much of the logistics and planning for many trips. Christine is one of the first ones out on the beach as the sun rises over of the Sea of Cortez. Smiling and leading adventures is in her blood. For 35 years, Mike dedicated his life to saving others working as a fireman / paramedic for the Los Angeles County Fire Department. When you talk about someone who has seen it all, Mike is one of the rare people that has walked the walk. His getaway from the rigors of the real world is his Baja house on the Rio Hardy river located between Mexicali and San Felipe. A watersports destination that is relatively unknown to the general public. 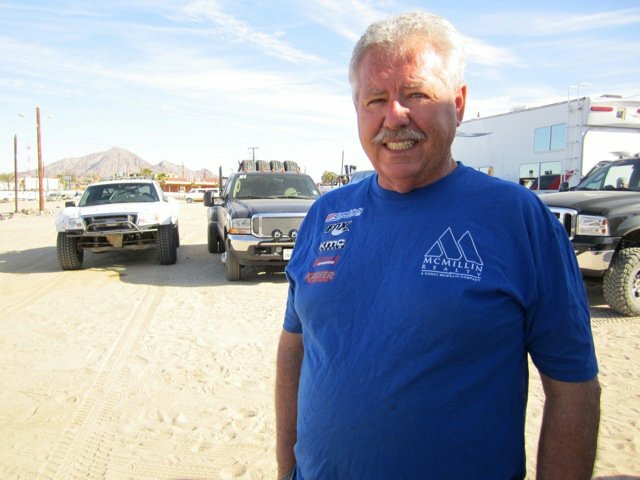 Mike has been involved in off road racing for the past 25 years chasing for some of the top trophy truck teams in the world. He has a vast experience that XploreBaja draws upon all the time. Mike is an experienced paramedic that has been involved in many rescues on both sides of the border. 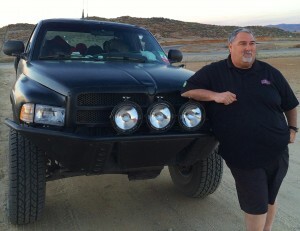 Baja and racing are in this guy’s blood. 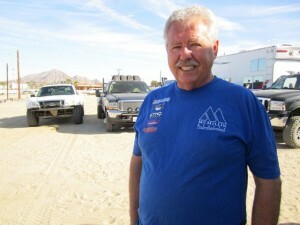 Kelly won the 2007 SCORE Baja 1000 as the navigator in the Riviera Racing Trophy Truck. In 2007 the Baja 1000 was the longest nonstop point-to-point off road race in the world. For the past 15 years, Kelly has immersed himself into the world of Baja and has been a big part of the XploreBaja crew. He is a world-class McGyver and a comedian on the side. 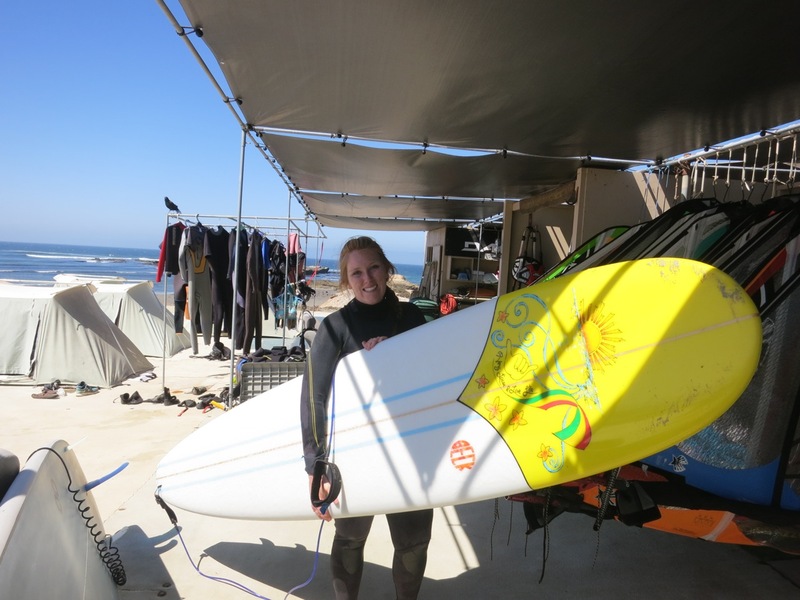 Kelly surfs, SUPS, drives, rides, mechanics along with everything else in the book. Genaro is the Camp Jefe at Solosports Camp located in Punta San Carlos. He is a master chef the go to guy for everything utilitarian. If you need it, Genaro can make it happen. From April to November he’s working at Solosports Camp, but during the off-season XploreBaja is lucky to have him join our trips during the high season. Genaro is a Spanish speaker who completely understands English, but will keep you laughing all day long. The youngest daughter of the XploreBaja Jefe, she is a physical fitness buff and Baja adventure girl who loves to surf, MTB, SUP and travel throughout Baja. Megan plays college volleyball and has been playing club volleyball since she was in junior high school. A couple of her favorite places in Baja are Bahia de Los Angeles and SoloSports-Punta San Carlos. She has been on a handful of Baja Peninsula runs over the past 10 years and she’s a born adventurer. 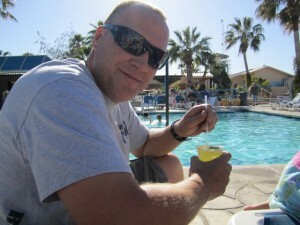 Austin is an active fireman / paramedic working in Southern California. He is a near professional surfer and motorcycle racer as well coming from a family that has been adventuring in Baja for 40 years. He works many trips with XploreBaja as the key medical professional and helps us maintain the XploreBaja medical gear. He is a world traveler and just returned from Indonesia surfing and providing emergency medial support at Mentawai Isla, a remote famed surf location. He will keep you entertained to say the least. Daviel was born in San Juanico, Baja Sur, Mexico. 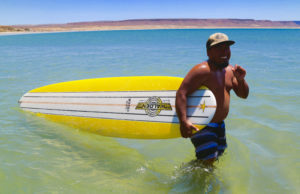 A 5th generation surfer from San Juanico, BCS (Scorpion Bay.) Davy is a professional fisherman and has been surfing since he was 4 years old. Davy is everything Baja Sur, meaning he can solve all your problems in minutes. Davy runs the XploreBaja HQ in Scorpion Bay as you can find him or others from our staff there at the HQ across from the school on Punta Pequena street. From fishing to mountain guiding hikes, to riding MTBs, Motos, or searching for the perfect place to watch the sunset, Davy makes it all happen all while keeping you laughing and happy at the same time.